British Shipyards did not learn the process improvement techniques of Shigeo Shingo. Apart from Shigeo Shingo’s obvious success with the Toyota Production System, one other notable achievement was creating a production system in ship building at Mitsubishi Shipbuilding in Japan from 1950 to 1953 that reduced ship production time by 50%. Why did British Shipyards not follow these same techniques for improvement ? As a result the British Ship building industry was essentially beaten into submission by the 1980’s and most British Shipyards were closed. 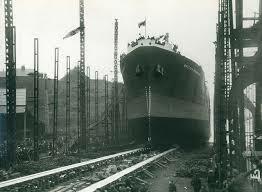 Were the British managers of Shipyards and British politicians complacent or ignorant or just not up to the challenge of changing the processes and culture and therefore ‘threw in the towel’ ?